Creative Event Services makes product promotion even easier for your brand. 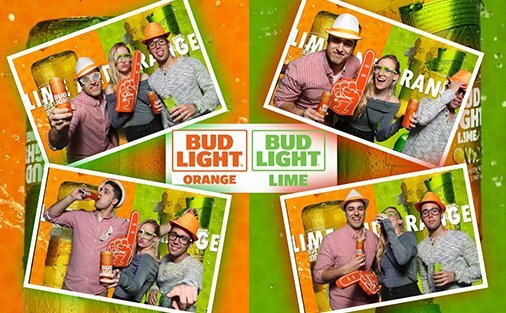 Engage your market with custom branded event ideas, interactive products and attractions that will help take your product awareness to the next level. Are you looking for event promotion ideas in the Boston area? Visit Creative Event Services for your event promotion planning needs anywhere around New York. Creative Event Services has provided over 1000 themes for top corporations, colleges, and exclusive parties across Rhode Island and Hartford. We provide excellent staff, high-quality equipment and one-of-a-kind presentation sets. We offer a variety of themes all of them carefully crafted for your event promotion entertainment. For event promotion rentals, we offer a variety. One of our more popular rentals are carnival themes. We have many items you can rent to enhance your theme, making your event simple and small to an outstandingly huge blow out event. You can turn your event into an authentic carnival by renting Classic Striped Canvas Carnival Booths which add fun and festivity. You can also rent Super-Sized Classic Games, such as chess, Jenga, Connect Four, and poly-pong, each promising to provide hours of entertainment for both participants and spectators. Besides the carnival games, there are also Sports and Video Game ideas that will keep crowds entertained. We also rent a variety of items, such as Virtual Gravball which is a virtual sports simulator that creates a weightless environment, it is like a ping-pong game where two players are placed in the arena, and the players use their bodies like a paddle to hit the ball the opposite direction. Amusing for participants of all ages and even more fun to watch. For a more low-key event, you can rent 9-Hole Golf. Our special golf course can have its difficulty adjusted to match the playing level of the participants. You can also set the course up as a min-golf or pro-putter based game. These are just a couple ideas you can choose from Creative Event Services. You can view our other entertainment ideas on our website or contact us to find the perfect theme for your next event in New England.